Users often say that green Kratom gives them the perfect balance between productivity and serenity. This efficiency-enhancing quality is one of the main reasons that it is becoming more popular these days. What Alkaloids Are Present in Green Vein Kratom? Green veins are known for their ability to boost the body’s central nervous system. As a result, your concentration and attention to detail are improved. It also makes you feel more alert, making you more productive at work. Green veins are also used for their stimulating and energy boosting properties. This is perfect for those who are always on the go and are looking for substances that can replace their caffeine fix. In moderate doses, these strains can provide euphoric episodes. This will allow you to be more at ease in social situations and be more likely to engage in conversation with others. The relaxing qualities of green veins help people deal with stress. It also helps users manage symptoms of depression and anxiety in a better way. These mood-enhancing benefits can help people find calmness mentally and emotionally. These properties allow people suffering from anxiety and depression to cope better. The green vein is also a good choice for treating aches and pains. Its analgesic properties can be just as good as red veins, but without causing lethargy or drowsiness. People who need to stay alert and people who need analgesics will find green veins helpful. This strain allows them to achieve desired effects without getting groggy. Two of the most common alkaloids found in the Kratom plant are mitragynine and 7-hydroxymitragynine. In general, the alkaloid content of Kratom will mostly depend on its variety. For green veins, their alkaloid make-up is usually composed of mitragynine, speciociliatine, paynantheine, speciogynine, and traces of ajmalicine, methoxy-oxindoles, and other indoles. Because green veins generally contain high amounts of mitragynine, it’s bound to last longer than other Kratom varieties. Therefore, it only takes a little amount to see effects, making it rather affordable to use daily. The strain color isn’t based on the Kratom leaves, but rather on the vein color. Green Vein Kratom comes from various parts of Southeast Asia, particularly in Thailand, Malaysia, and Indonesia. You will find different varieties based on the country of origin. Examples include Green Malaysian Kratom, Green Sumatra Kratom, Green Bali Kratom, Green Indo Kratom, and Green Thai Kratom. Green Vein Kratom products also come in various forms, including: Kratom powder, Kratom capsules, and Kratom tea. The effects of Kratom may differ depending on the product type. Using green vein kratom, you get to experience the best of both red veins and the white veins without dealing with unwanted side effects. In any case, make sure that you use Kratom moderately. Because it reacts with the brain’s opioid receptors, it can get addictive at a similar level as caffeine. Green Vein Kratom comes in various strains. If you are not sure which strain you want to try first, you can check out Coastline Kratom’s Green Kratom Pack. 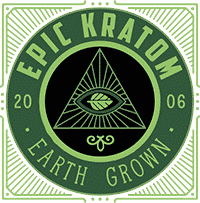 This pack contains all of their green Kratoms with a 10% price discount. It includes 25g packs of Green Malay Kratom and Green Borneo Kratom. They also sell packs of other vein types. These are: White Vein Maeng Da Kratom Pack, Ultra-enhanced Red Vein Maeng Da Kratom Pack, and Red Kratom Pack. Although it may cause digestion and breathing issues, this particular strain does a good job in enhancing one’s cognitive performance and alleviating pain, minus the sedative effects. Since the effects of Green Vein Kratom also last longer than other veins, it is practical to use even on a daily basis.